Teakle Composites, Australia. Fibre composites product development from experienced Space, Mechatronic & Mechanical Engineers. Philip founded Teakle Composites in 2007. He has been studying or practising mechanical engineering, primarily in new product development, for over twenty years. He has held positions in CSIRO (the Commonwealth Scientific and Industrial Research Organisation – Australia’a national R&D organisation) and various small high technology companies. Doctor of Philosophy (Queensland University of Technology). 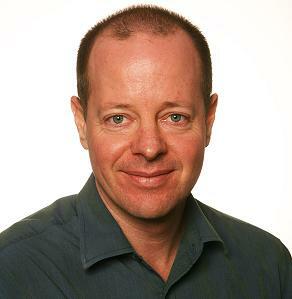 He is an Adjunct Associate Professor with the Faculty of Engineering at The University of Queensland. Lindsay holds a Bachelor’s degree in Engineering from the University of Queensland with a double major in Mechanical and Space Engineering. After graduating he worked in the piping division of a large engineering consultancy and then joined Teakle Composites. He has worked on numerous projects including composite manufacturing process design and the development of a new fibreglass piping system. Mohammad is primarily responsible for new product development. He holds a mechanical engineering degree from Iran University of Science and Technology, Tehran; a Master's degree in Aerospace structural engineering from Amirkabir University of Technology, Tehran; and a doctorate from the University of Queensland. Mel is responsible for the development and commissioning of automated manufacturing equipment. He holds an aerospace engineering degree from the University of New South Wales and a doctorate from the University of Queensland. Joshua achieved Level III Certification as a Composites Technician. Prior to working with Teakle Composites he worked as a fibreglass technician in several companies manufacturing boats and caravans. He also ran a start-up company developing and manufacturing high performance carbon fibre wheels for road bikes.